The Lumia 640 runs Windows Phone 8.1 with the Lumia Denim update installed. In other words, it has the most up-to-date version of the operating system available. (Microsoft has said the 640 can be upgraded to Windows 10 Mobile later this year.) 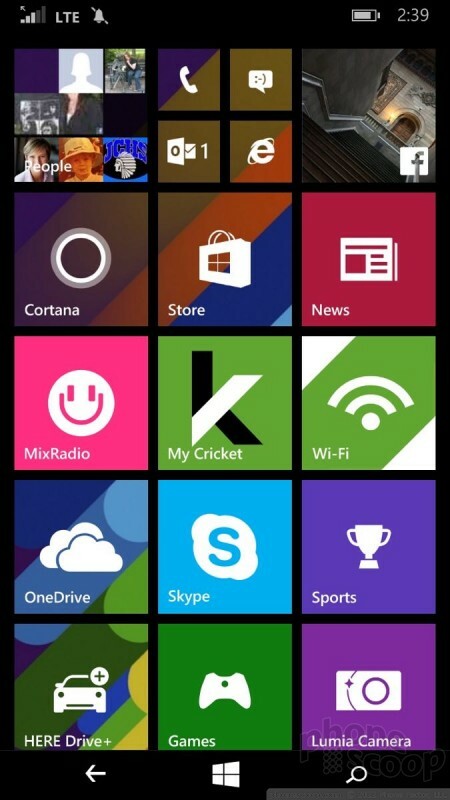 Windows Phone 8.1 is a robust platform and goes feature-for-feature against Android and iOS. The Glance screen acts as a screensaver when the display is “off” and lets you see the clock and missed calls/messages. Press the screen lock button to turn the screen fully on for a more in-depth look at your day. 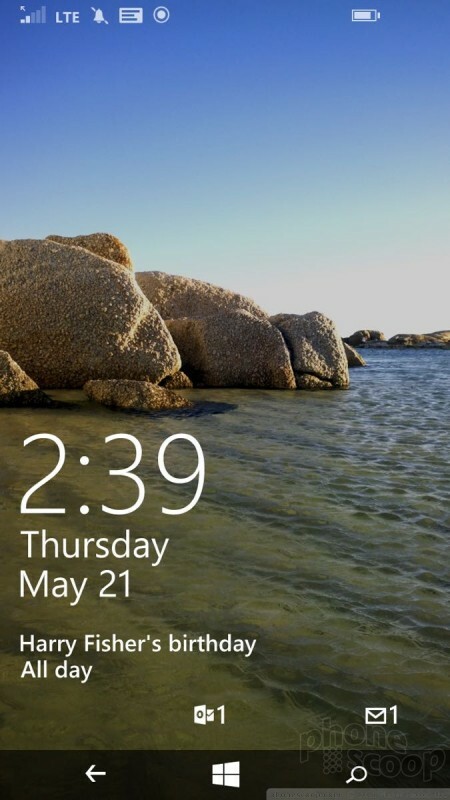 The lock screen includes the clock, date, calendar appointments, and notification previews. I've always liked that the lock screen also supports various backgrounds, such as Bing's Photo of the Day, your local weather, health and fitness data, or recent Facebook photos. 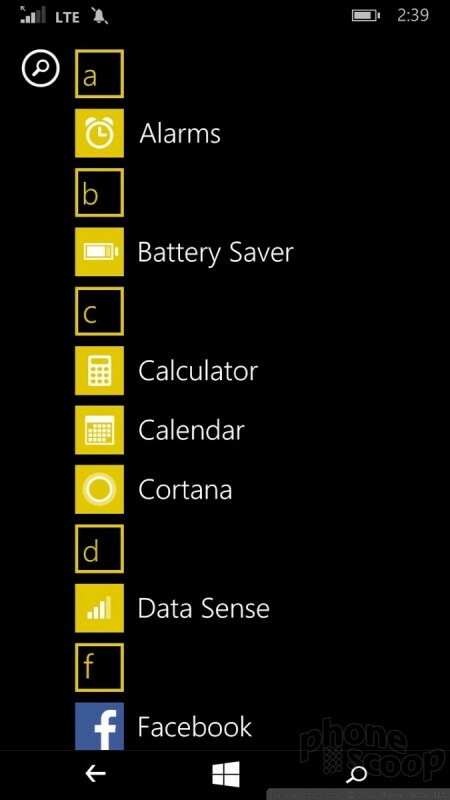 The secondary UI element to Windows Phone is the full list of installed apps. You need only swipe to the left to access them. They are always arranged in an alphabetical list. 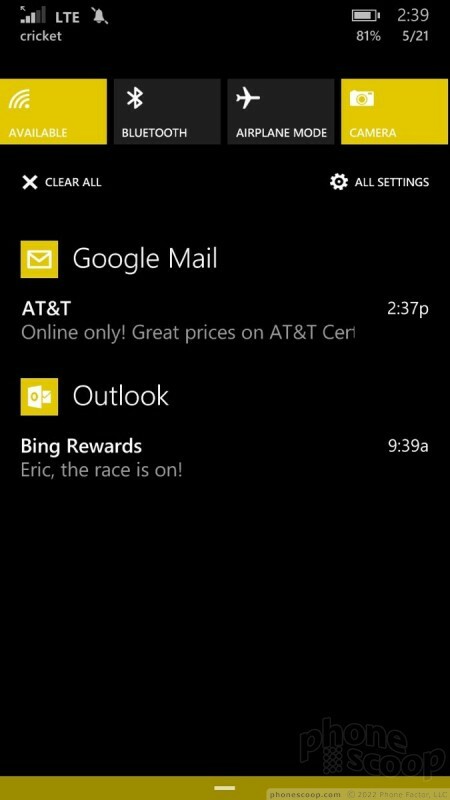 Windows Phone includes a drop-down notification panel, too, but it isn't quite as feature rich as those on Android and iOS. It provides toggles to the WiFi and Bluetooth radios, airplane mode, the camera, and all your notifications. The Settings tool is the last piece of the user interface. I strongly suggest you pin the Settings shortcut to the home screen. 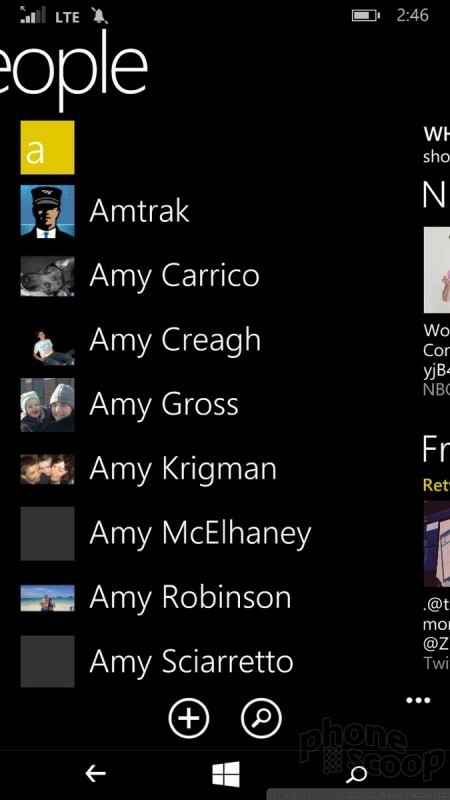 For the first time, Microsoft has clumped the system controls together in rough categories. (Previously, the Settings menu was a scrambled mess.) Like Android and iOS, the controls for the 640's wireless radios are now all packaged together under a single heading. The categories (networks, personalization, accounts, system, time/language, input/accessibility, privacy, updates, and extras) really help increase the utility of the extensive tools available for customizing how the Lumia 640 behaves. Microsoft opted for the venerable 1.2 GHz quad-core Snapdragon 400 processor paired with 1GB of RAM. 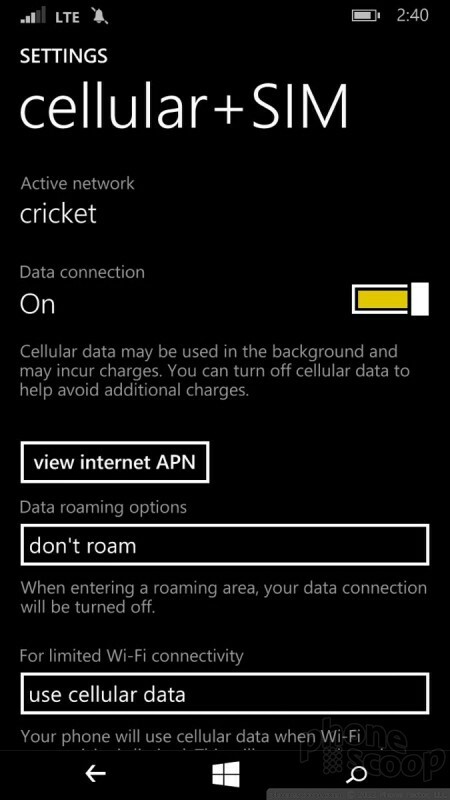 The combination works well with the Lumia 640, which felt fast and zippy across the board. 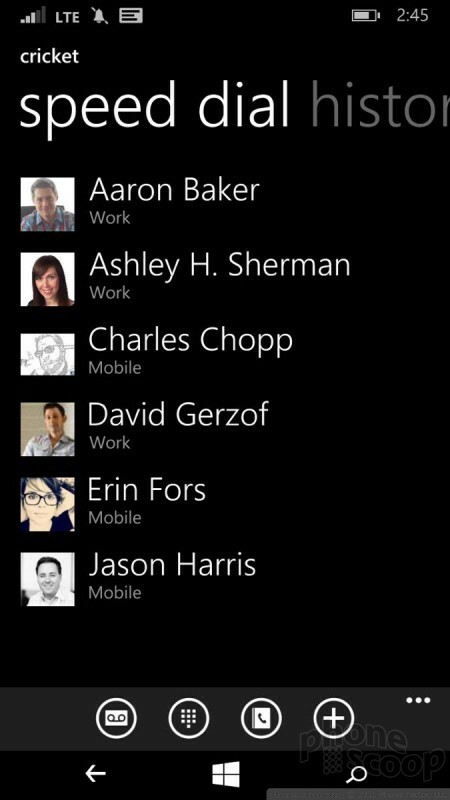 The phone and people apps have barely changed since the 2011 debut of Windows Phone 7. 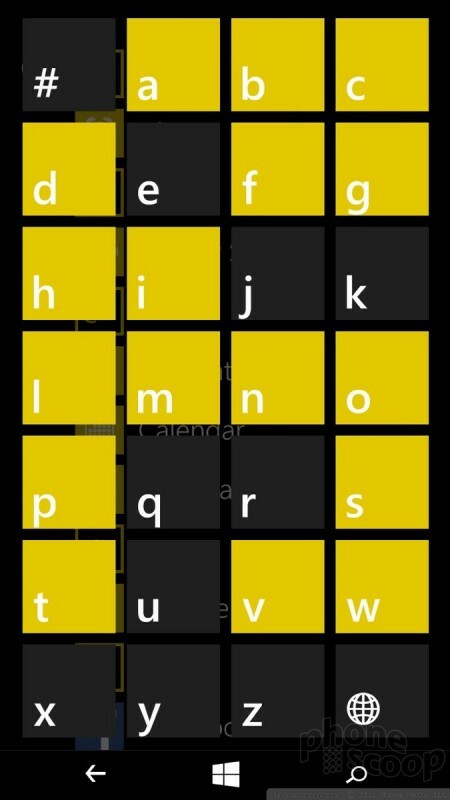 The phone app is spartan at best. 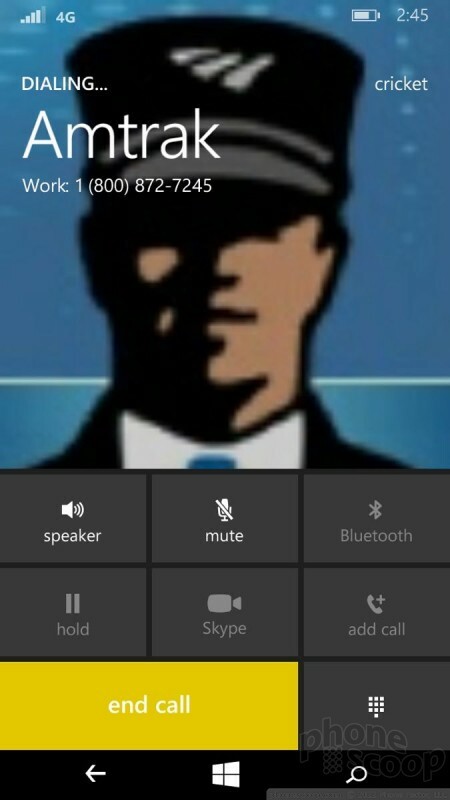 Call history is the default view when you open the app, but there are buttons along the bottom to access voicemail, the dialpad, your contacts, or search. 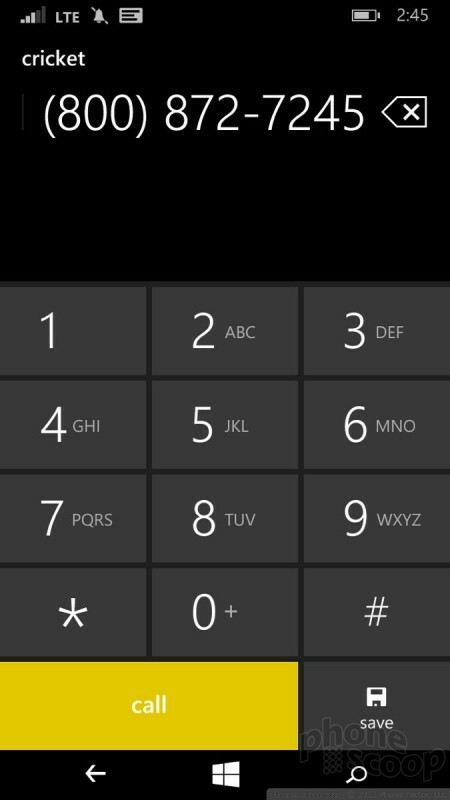 Using the speed dial function, available by swiping to the right, will be a huge time saver. As is the norm for modern smartphones, you can control call rejection behaviors, set automatic message responses, make use of call forwarding, and so on. The People Hub is your contact list with some social networking tossed in for good measure. The app hooks into Facebook, Twitter, and LinkedIn and will pull recent activity from those sources to create a three-network feed within the contact app. 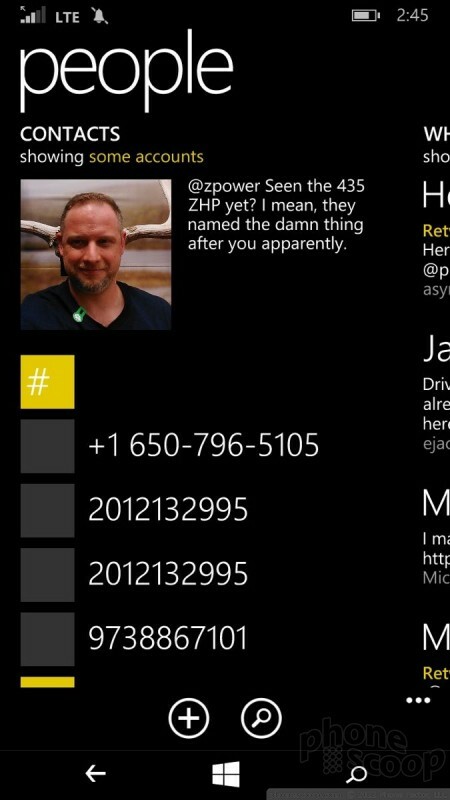 The People Hub is just as powerful and usable as the Android and iOS contact apps. 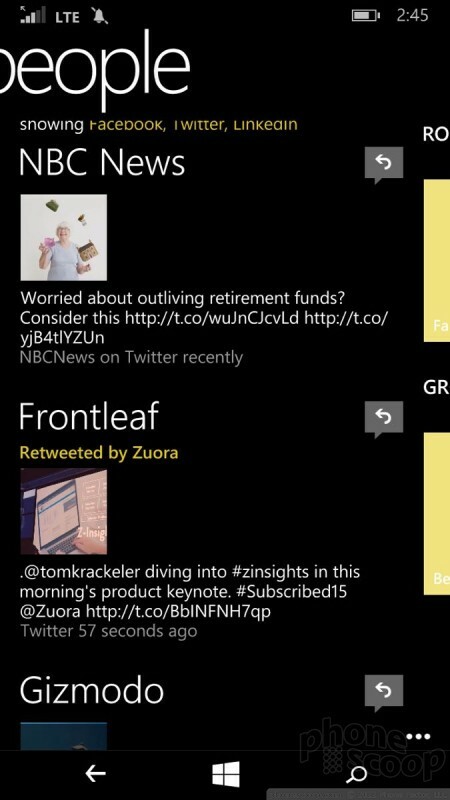 I like the social aspect, which I think Microsoft integrated to a better extent than Android or iOS have. 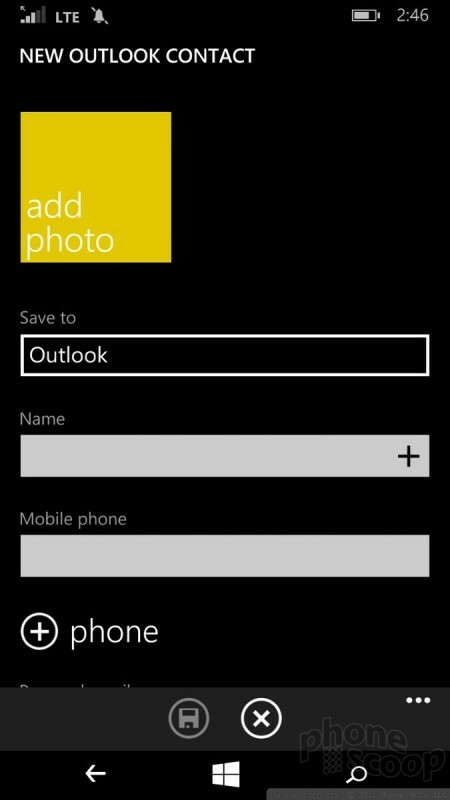 The Lumia 640 requires you to have a Microsoft account, even if it's just a Hotmail/Outlook email account. 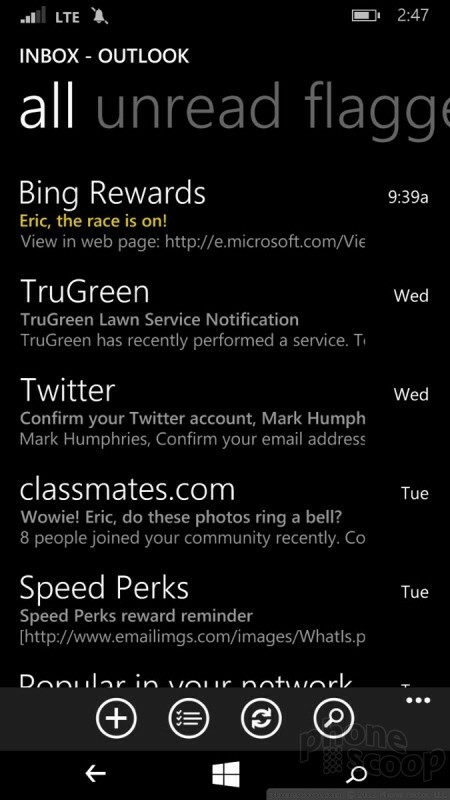 The native email app in Windows Phone is not as strong as what's available to Android and iOS, but it's still capable. You can use your Gmail or Yahoo email account on the 640 with no problem. The SMS app has lost utility over the years. It used to cover SMS, Facebook Messenger, and Skype in one app; now it only handles SMS. 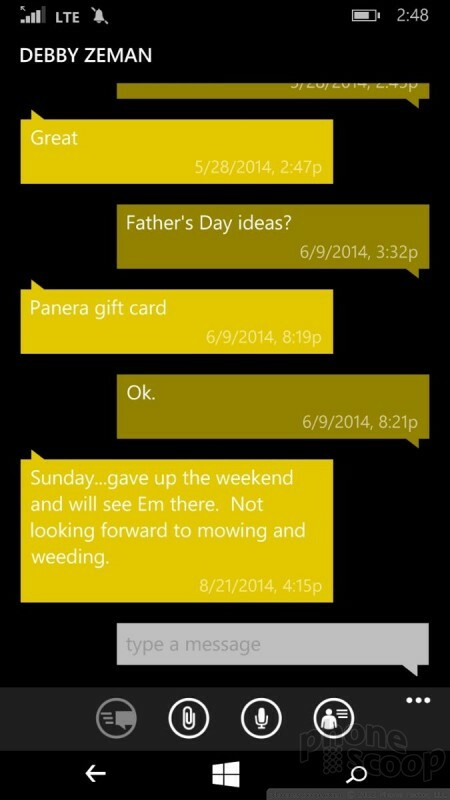 Like the phone app, it's somewhat spartan, but still manages well enough for basic text, picture, and video messages. Skype is preinstalled and is one of the juicy extras I mentioned earlier. Microsoft is giving Lumia 640 owners 60 free world Skype minutes to use each month for two years. That means you can spend an hour on the phone via Skype to the most far-flung places on the planet at no extra cost. Facebook is preinstalled, but Facebook Messenger and Twitter are not. 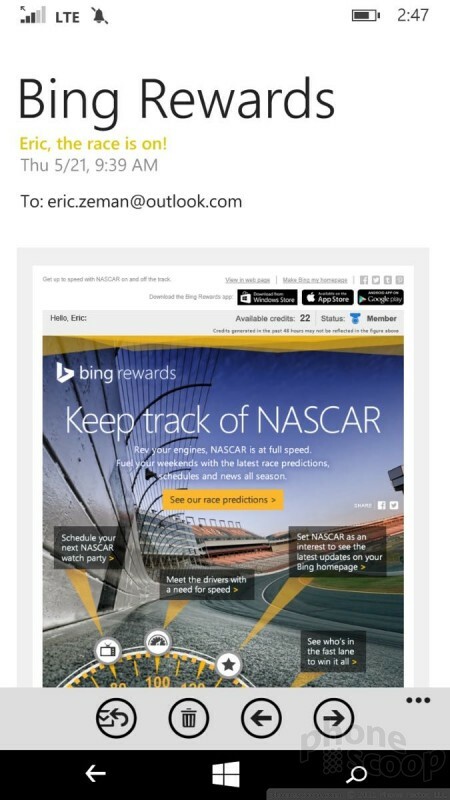 Those apps are available from the Windows Store.